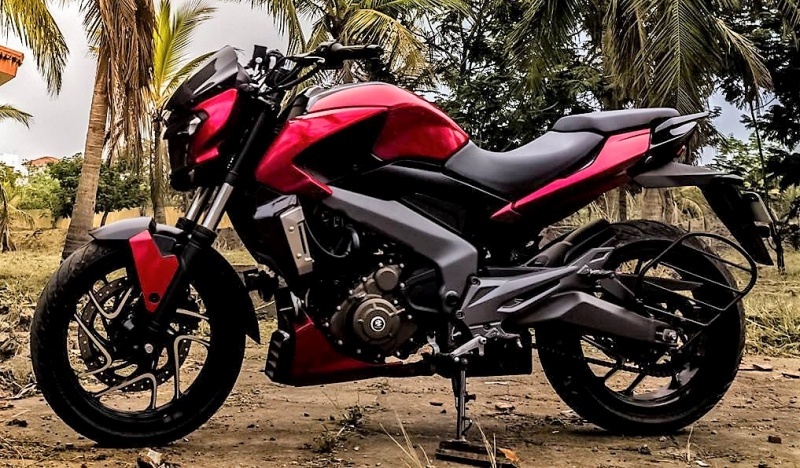 Meet Bajaj Dominar Ultra Metallic Red by Knight Auto Customizer: Dominar 400 is one capable machine that always get underestimated in front of all others around its segment. 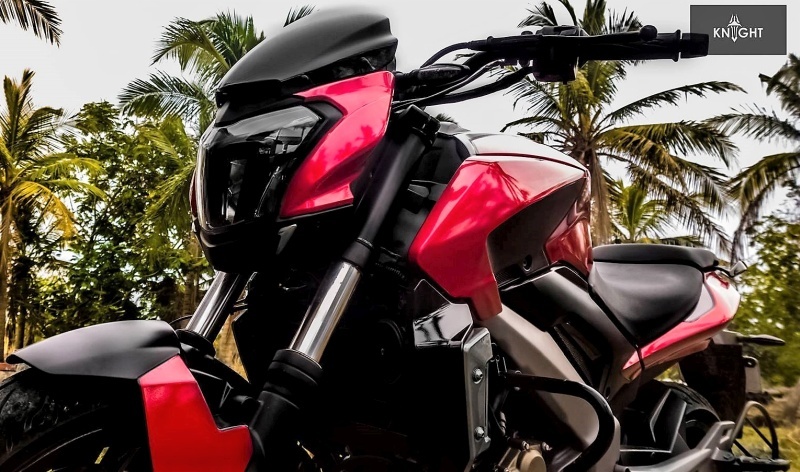 Had it been any other manufacturer, placing a 373cc engine, that too with liquid cooling and fuel injection, at INR 1.44 lakh would only be possible in dreams. Bajaj understood the requirement of riders of that segment and got their hands on huge 35 Nm of torque from that engine. 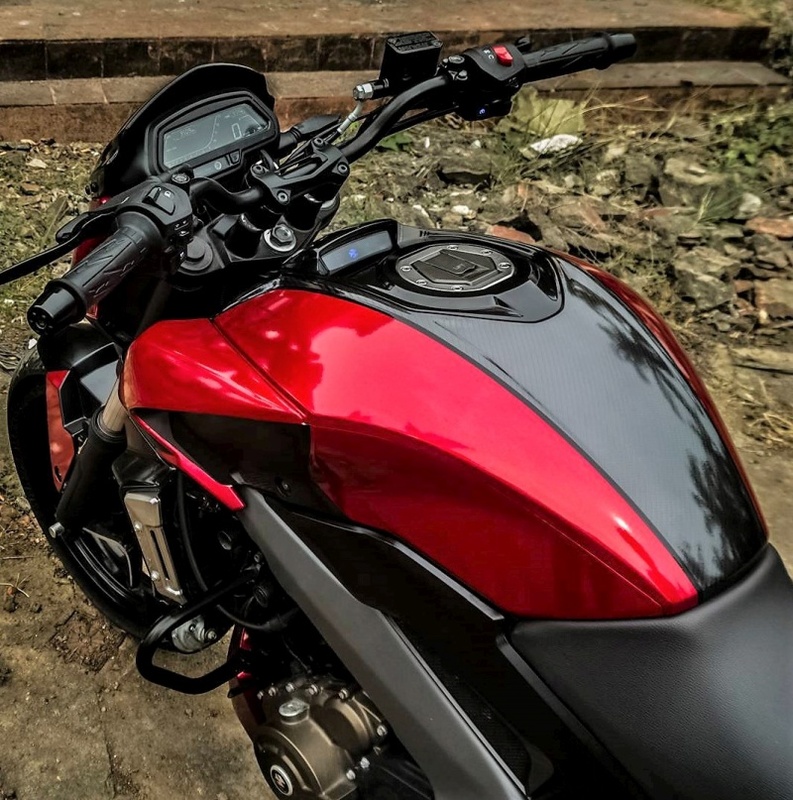 Although, horsepower value was sacrificed for a lower output, Dominar never felt shy crossing the 150 kmph mark, and that too with decent weight on the throttle. The biggest limitation for Dominar was availability of colors and this is where Knight Auto Customizer comes into action. Ultra Metallic Red was selected as its primary shade while Carbon Fiber Gloss inserts were given for premium overall feel. 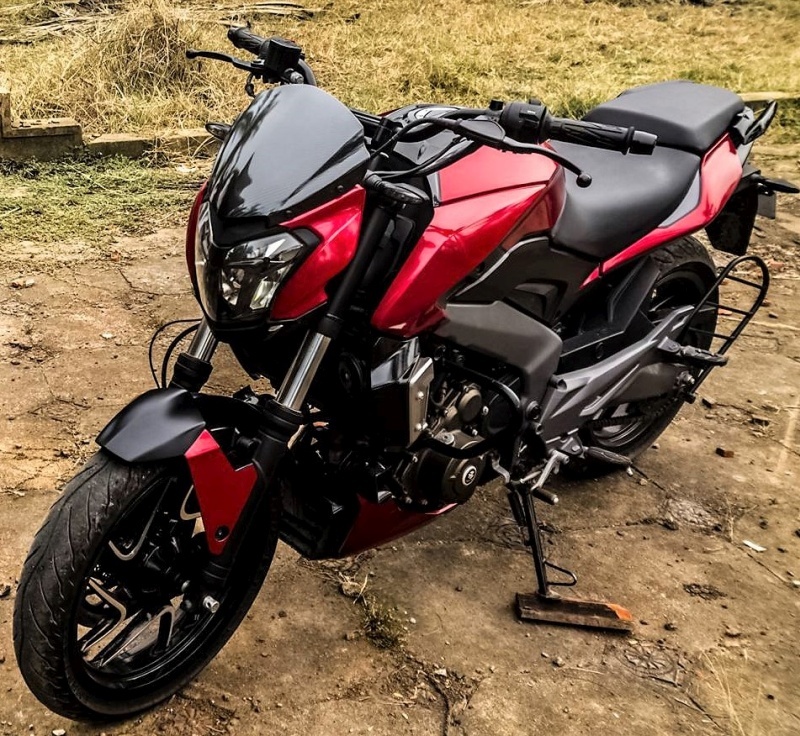 When it comes to Knight Auto’s wrap quality, you will notice that getting this premium feel is not even possible through various paint layers on certain bikes. This uplifts design highlight on the Dominar body and adds young character into this mature machine. 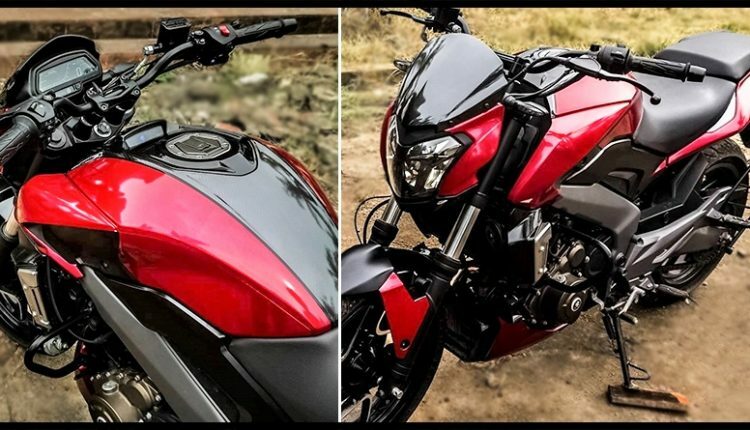 Metallic Red can be seen on the fuel tank, front fairing, sides of front fender, belly pan and even the under-seat panel that was kept Gloss Black by Bajaj on all shades. 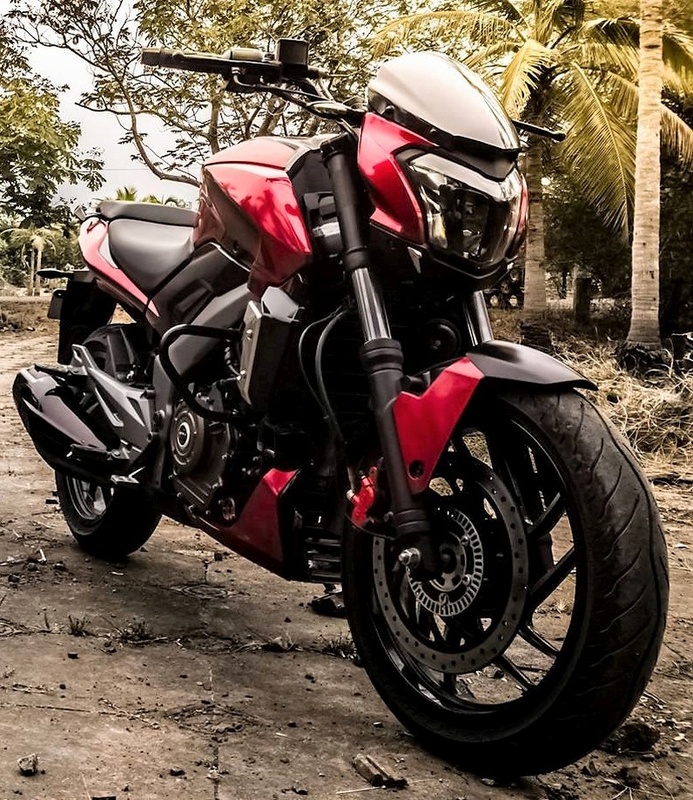 Knight Auto Customizer is charging around INR 7000 for this Dominar 400 Wrap. Performance stays unaltered as visual enhancement was the sole purpose for this wrap project. 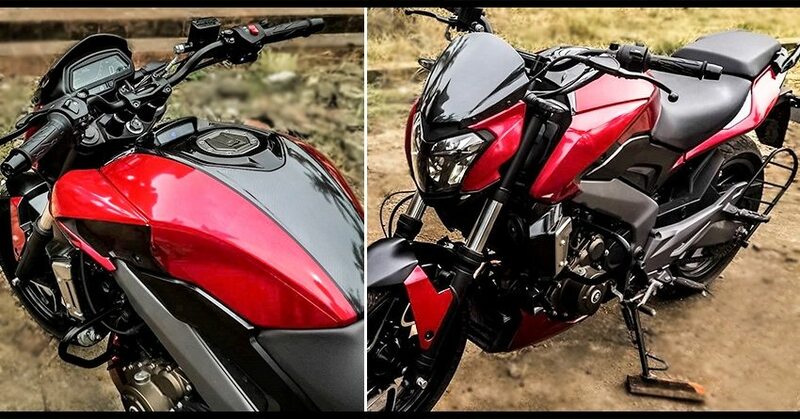 Bajaj offers the best ever alloy wheel design on Dominar 400, further adding macho character with huge 110 and 150 mm rubber as stock. 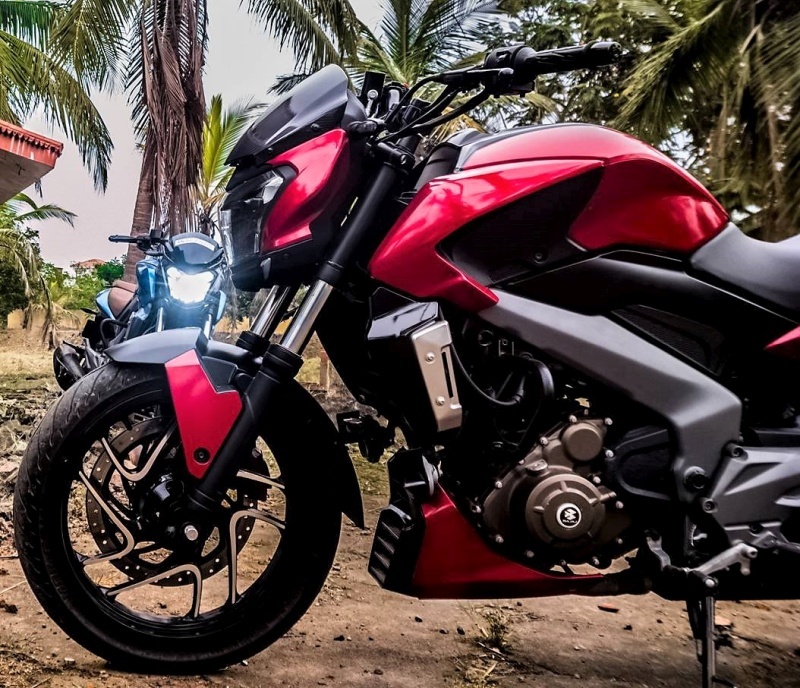 Thick forks, impressive suspension setup, highlighted center tank section and LED headlight makes Dominar the most effective motorcycle one could buy around INR 1.44 lakh. Also, not to forget, Dominar 400 comes with dual channel ABS for INR 14,000 over the regular variant. It rivals none other than Royal Enfield Classic 350, Thunderbird 350, Himalayan and Mahindra Mojo in its segment.